The purpose of the study was to evaluate the bone mineral density (BMD) and 25-hydroxyvitamin D (25(OH)D) levels in patients with silica exposure. The study included 104 male subjects with silica exposure and 36 healthy subjects. Posterior–anterior radiographs were classified according to the International Labour Office (ILO) Classification. Category 0 patients were classified as Group I (n = 54), category I patients were classified as Group II (n = 25), Category II and III patients were classified as Group III (n = 25). Femoral neck BMD values were significantly lower in Group III (p = 0.007). Lumbar vertebrae BMD values were significantly lower in all groups with silica exposure than in the control group (p = 0.000). The osteoporosis rate was significantly higher in Group III (p = 0.000). Subjects with silica exposure were determined to have diminished 25(OH)D levels (p = 0.012). 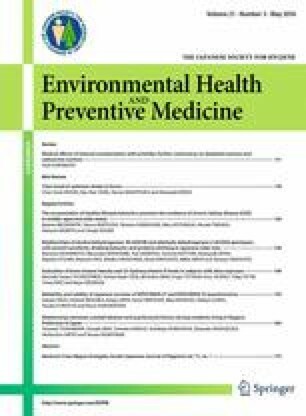 The results of this study demonstrated that subjects with silica exposure have diminished BMD and 25(OH)D levels.